The Premier Pet™ Front Seat Pet Barrier keeps your dog out of the front seat during travel. 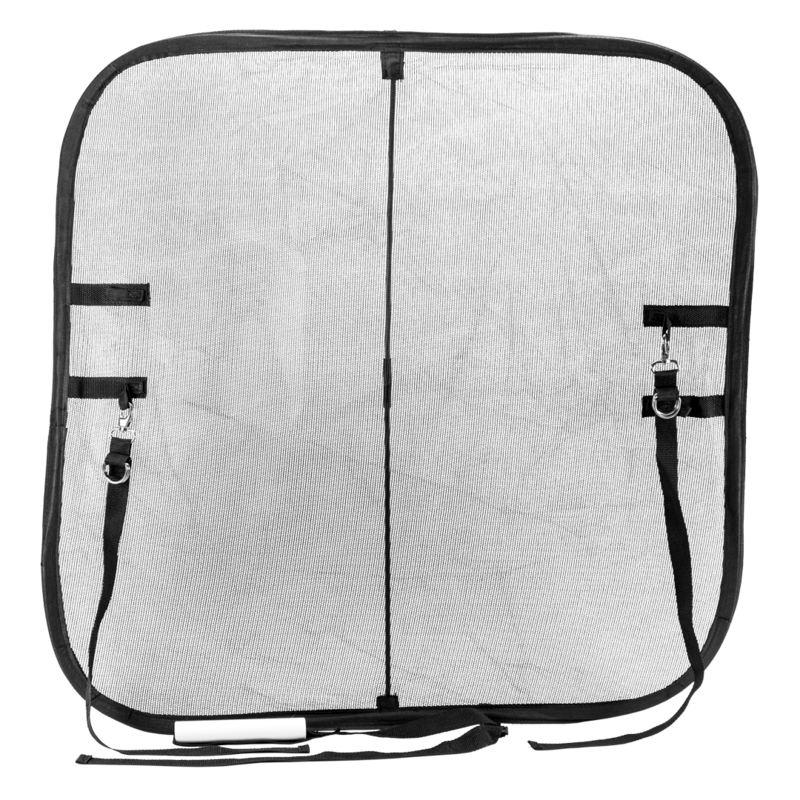 Simply remove the mesh barrier from its storage pouch and let it pop out to full size. The wire frame design ensures there is no sagging and the adjustable straps allow you to easily install it into any vehicle with front headrests. Your dog will still be able to see through the micromesh but will be deterred from stepping into the front or onto your car’s center console. With your dog contained to one location in your vehicle, driver distraction is reduced, and you and your dog can travel safely together.